As a wedding photographer, getting new clients is key. And having a solid wedding portfolio to showcase your work is a crucial step to get landing new clients. But, taking the photos is only half the battle. You still need to put them out there for all to see! Don’t forget shots of the reception to help show your style in your wedding portfolio. Show Off Your Wedding Photography Portfolio! Luckily, there’s no shortage of innovative online sources to do so. All which allow you to upload and share your professional photographs. In today’s social landscape, an online portfolio is important to have. Especially if, you know, you wanna grow your business. Need a place to set up your wedding portfolio online? You’ll need to follow a few steps to make your work captivating for potential clients. When deciding to share your wedding imagery online, choose only your strongest images. Go through them all and sort them into three sections. Great, good, and not so good. If a photo doesn’t make the “Great” pile…Leave it out of the portfolio. Easy as that. Only your strongest photos make the cut! Now’s the time to be ruthless. Remember, only include your best shots in your online wedding portfolio! Potential clients want to see your full capabilities as a photographer. This includes how you frame each shot and how your clients behave in front of the camera (i.e your direction skills). And, obviously, your visual aesthetic. For wedding clients, consistency is key. They should be able to identify your personal style right away. They want to know you’ll be able to deliver the same level of quality for their special day. With that in mind, include galleries of your sample images. Then add some individual stories that give a layout of each wedding. Lastly, your wedding portfolio should be easy to navigate. Clickable images or sliding galleries make this simple. Your potential clients should be able to get an idea of what you do at first glance. You’ll also want to create a contact page. Include your email and any relevant information. Make it easy to inquire about your photography services. Where’s The Best Place To Put Your Wedding Portfolio? Building a website for your wedding portfolio is surprisingly easy. Utilizing any of the platforms we’re covering today makes it all the more simple. To help you get started, here are the best options for setting up a wedding portfolio online. Design your own wedding portfolio with the various themes available on SmugMug. There’s a reason SmugMug tops this list. This is one of the most popular sources for creating stunning photography portfolio websites. You to choose from a selection of easy to use customizable themes. Then, upload your images to showcase to your audience. You can alter and adjust SmugMug’s styles as you like. Some say that’s much better than the standard concept of templates. You can also choose from a selection of viewing options to highlight your images. Some choices include Journal, Collage, and Thumbnail. Additionally, you can change the fonts, media, and text on the templates. One cool feature wedding photographers will find useful are private galleries. These online portfolios let you set up galleries only viewable to certain clients. This allows for individual proofing and password protected access. SmugMug has an online store capability. Meaning you can sell your images and prints directly from your personal portfolio. 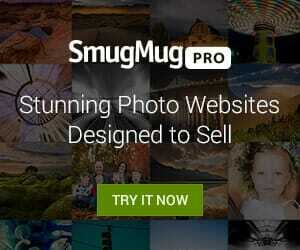 For wedding photographers, SmugMug is easy to use. It’s an efficient service to display your beautiful imagery of couples in love. Sqaurespace is a popular choice for displaying wedding photography. The second service you can use to showcase your wedding portfolio is Squarespace. This online tool lets you pick from different templates. The templates make it easy to upload and promote your wedding photography. On Squarespace’s site, you’ll find a template section specific to photographers. But any of Squarespace’s templates can be adjusted and modified to fit your portfolio needs. One of the most popular template options for wedding photographers is Wexley. It offers a large grid option that’s perfect for displaying images. It’s also easily customizable to make your site unique and personal to your brand. What’s the big selling point of Squarespace? The platforms interface makes it easy to use. It’s no trouble at all to make galleries and photo layouts. Not to mention it’s easy breezy to adjust design elements, like fonts and colors. Mix that with their online store integration and guess what? Squarespace has everything you need to make a professional wedding photography portfolio. Format can be used easily to create a customizable wedding portfolio. The third service you can use to build your wedding portfolio is Format. You can utilize Format’s templates to showcase your best work. Format’s templates have different visual layouts. You can choose from Horizontal, Fullscreen, Slideshow, Tiled, and Vertical. Just make sure you choose the best one for your images and design aesthetic! Format is especially appealing to wedding photographers for its proofing capabilities. You can share private proofing galleries, review client feedback, enable downloads. You can eve watermark your images. This gives your wedding photography clients total access to their images and prints. Format is a great wedding portfolio tool. Largely because of its selection of templates, proofing options, and online store capabilities. PhotoShelter offers a slew of wedding photography templates. The fourth service you can use to build your wedding portfolio is PhotoShelter. They really make it simple for wedding photographers to show their wedding portfolio. That’s largely thanks to the wide selection of templates you’ll have access to. PhotoShelter requires no coding and is easy to personalize for your own unique look. Take a look at the sample photo above. Notice all the different layout options? That’s because PhotoShelter templates are image focused. You can choose from vertical, horizontal, grid, and slideshow themes. Whichever way you prefer to display your images you’ll find a template that does it. 22Slides is a unique portfolio builder for your photography. Last but not least, the fifth service you can use to build your wedding portfolio is 22 Slides. They’re claim to fame is helping photographers create the websites of their dreams. That is, at least, according to their own website. What makes them so unique you ask? 22 Slides doesn’t offer standard templates like the other options we’ve listed. Instead, they allow different parts of each page to be controlled independently, so they can be mixed and matched. The main features are high-resolution imagery, Instagram integration, client review, and file delivery. Dare I say 22 Slides is a perfect option for managing and sharing your wedding portfolio…? Above are some sample portfolios made with the 22Slides website builder. As you can see, creating your personal wedding photography portfolio is fairly simple. Especially with the vast resources available today. With all the options we’ve covered today, I trust you to choose the best portfolio service for you. So be sure to share a link to your fancy new portfolio in the comments below, won’t ya? Let us know what your favorite wedding portfolio service or builder you use for your images? Share with us your recommendations in our comments below.